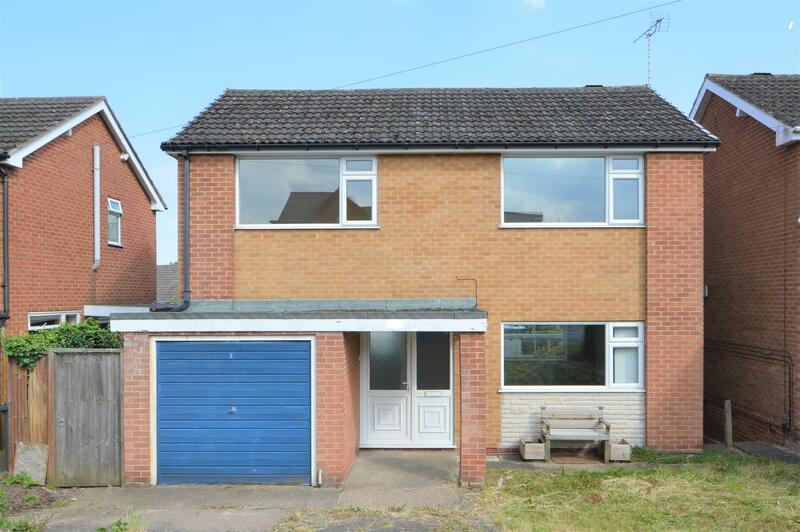 Benjamins are delighted to welcome to the market this excellent opportunity to acquire a three bedroom detached property offering immense potential for improvement, situated in the popular village location of Keyworth with great schools, local amenities and public transport. The property benefits from; entrance hall, kitchen diner, living room, master bedroom with en-suite and two further bedrooms, family bathroom, garage, enclosed rear garden, parking available on driveway for two cars, UPVC double glazed windows throughout, gas central heating and combination boiler, no upward chain. A viewing is a must to see the potential of this property. Includes a fitted kitchen with a range of upper and lower level units, rolled edge worktop, stainless steel sink and drainer, electric oven and hob with extractor fan, plumbing for washing machine and dishwasher, power points, ceiling light, radiator, Upvc double glazed side door with access to the garden, uPVC double glazed window to the rear aspect. Access from hallway and kitchen diner the living room includes two ceiling pendants, power points, two wall mounted radiators, two telephone points, carpet, uPVC double glazed windows to the front and rear aspect of the property. Stairs leading to the first floor, hand rail, ceiling pendant, wall mounted radiator, uPVC double glazed window to rear garden. Double bedroom with ceiling pendant light, TV aerial, power sockets, wall mounted radiator, carpet, built in wardrobe with rail, access to loft, uPVC double glazed window to the front aspect. En-suite bathroom includes a three piece suite; WC, basin with tiled splash back, shower unit off water mains and tiled walls. Double bedroom with ceiling pendant light, TV aerial point, two power sockets, wall mounted radiator, carpet, built in wardrobe with rail, uPVC double glazed window to the front aspect. Single bedroom with ceiling pendant light, TV aerial point, two power sockets, wall mounted radiator, carpet, uPVC double glazed window to the rear aspect. Three piece bathroom suite consisting; panel enclosed bath with shower over from mains water supply, tiled round the bath, WC and wash hand basin, ceiling light, vinyl flooring, uPVC double glazed window to rear. Electric up and over door, fuse box, gas meter, power supply, water tap and plumbing available, uPVC double glazed window to the side aspect. Front garden with double driveway, Shrubs and laid to lawn. Gated side access to rear garden. To the rear of the property an enclosed garden with laid to lawn, patio area, and shed.